In My Creative Opinion: SugarPea Designs is hopping with My Sweet Petunia! Welcome to the SugarPea Designs and the My Sweet Petunia Blog Hop! The SugarPea Designs team is hopping along with My Sweet Petunia--the maker of the MISTI! There are some great prizes to be won! 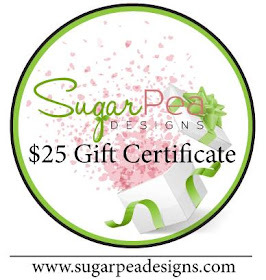 SugarPea Designs is giving away two $25 gift certificates to the Sugarpea Design store! To be eligible to win you need to comment on all the blogs in the hop. 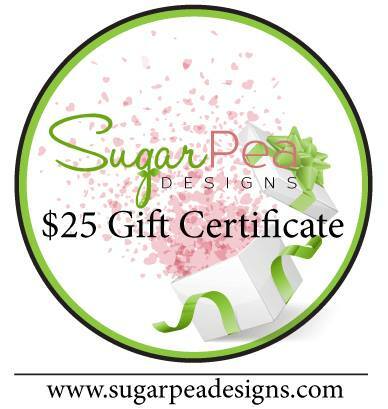 Winners of the MISTI will be announced at the My Sweet Petunia HERE on April 28, and SugarPea Designs winners (2 $25 SPD Gift Certificates) will be announced on the SugarPea blog on April 28! You should have arrived here from Giovana Smith's blog. Here is my card and a video showing the MISTI in action! I used the SugarPea Designs Bring on the Cake stamp set and the Birthday Journal Card SugarCut dies! From here you are heading to the SugarPea Designs Blog but here is the Blog Roll is case you have gotten lost along the way! nice card, thanks for the inspiration. This is beautiful! LOVING that cake!!!!!!!!!!! Love your birthday card Tracey! Misti surely makes this kind of stamping EASY! Your card is "simply" cute! Thank you for showing how you used the Misti to make this card. It looked so simple. Your card is sweet. Love that stamp ... great card. Sweet card and I love your video...so professional! Such a cute card! I have this stamp set and I get stuck when I look at it. Thanks for the inspiration! Cute, happy little card. In the video, it was a cute face. The magnets were the eyes and the cake layers made the mouth and nose. But I do like the clean simplicity of your card. It looked like something I would be able to recreate. I love that in a card. Thanks so much. super cute! love the video! Love the stack of cupcakes. what a special card - I must get out my stamp set of this and try it. Thank you. LOVE wonky cake. The misti keeps it wonky great card. Very cute card! I think you are placing sequins and then putting stickles in some of them?? Loved your card and the video. Thanks for the instructions. Great card. Watched this while my grandson's birthday card is in the oven -- wish I'd had this stamp set to make his card. I love this cad Tracey, it is sweet and would work for any age group. Just change the colour for a masculine card and BAM! done! ♥ it! This blog hop was a fun way to burn through my data plan during a long car ride. Made the time fly! Such a cute and fun birthday cake card. Cute card. Don't you just love how easy the MISTI makes card making. I like the sweet topsy turvy cake! This is delightful Tracey!! What a fun pink cake. cute, clean and simple. Just the way I like 'em! Love that pink wonky cake, fun card! I love this CAS card. The pink is perfect! Really cute birthday card, Tracey! I love the patterns on the cake and the black scalloped border is fabulous! Thanks again for the wonderful video! Love the cute birthday cake. Awesome stamp set and love the colors you chose. Beautiful card. Your video was mesmerizing! Such a fun card, Tracey! I need to get this set out and use it again. Your card is pretty in pink, Tracey. So fun, it's not the ordinary birthday cake! Thanks for sharing! Love your little cake and this stamp set. Cute card. Great card-just stamps, paper & ink. Thanks for the fun video too-so very helpful to see how you made that card! Cupcake card made me hungry! Nice job - very cute. Thank you for your time, talent and willingness to share your ideas. Pretty pink card! TFS your process using the fabulous Misit! I like the whimsical look of this cake! The MISTI sure makes it easy to do those double stampings. Your cake turned out darling, and perfectly placed! Great card. So easy to make using the misti. Thanks for sharng the misti tutorial as it makes shows how easy it is to use this set. love it -this simple color scheme is a true winner!!! Love this cute card! Thanks for the tutorial. Who wouldn't love getting this card for their birthday! Very cute! I love clean and simple! 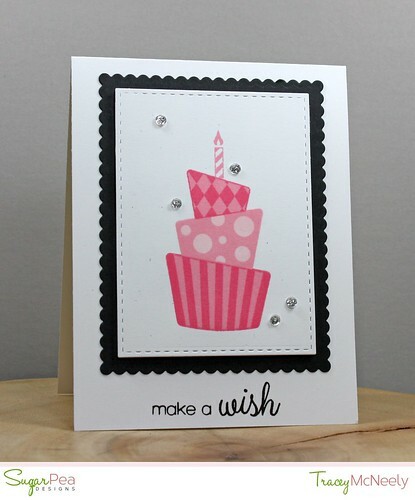 Clever use of the Misti on your adorable card! Clean, simple and very appealing card! Thanks for all the instructions too. clean, simple and pretty card! Thanks for the amazing video! I love watching the MISTI in motion! your card is wonderful! such a fun looking stamp set to play with! Sweet card! Love the cute cake! Enjoying the hop and getting lots of ideas for using the MISTI and the Creative Corners! I love this card!! I love the cake. The colors you used were wonderful!! Great job! Awesome birthday card! The MISTI is the best! What a fun stamp set! I just love all of the layers and I can't believe how much easier it look to line them up with the Misti! Thank you for the inspiration. Very fun card...love the colour combo. I love your card and how the Misti made it so easy to make a perfectly stamped design. I can't wait for mine to arrive. I need that stamp set too as I have 6 birthdays in July to make cards for. Thanks for sharing your video. Such a fun birthday card. Great job and love the video! I love this pink cake! Everything about it is happy and cheerful! Cute card. Thanks for the video. Thank you so much for taking the time to stop by! I love to read each and every comment!